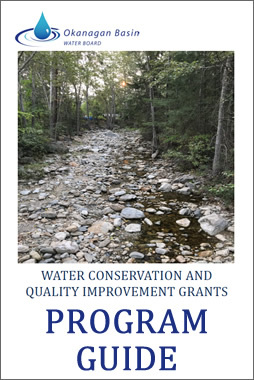 The Water Conservation and Quality Improvement (WCQI) grant program, as a component of the Water Management Initiative of the OBWB, is celebrating its thirteenth year. Total available funding for 2019 is $300,000. The application deadline is Thursday, February 28, 2019 at 4 PM Pacific time. Funding will be allocated valley-wide, with a total pooled fund of $300,000. The requirement for local government support has changed. Download this Notice (PDF) to learn more about these important changes! To encourage projects that are inter-jurisdictional in scope, enhance partnerships, and reflect the nature of our shared water in the valley, funding will be provided to projects with the most merit according to the OBWB board-approved scoring criteria, regardless of location. The letter must be from the local government(s) with jurisdiction over the project area. Click here to learn more (PDF) about the requirement for local government support. Each year the Water Board announces an annual theme, prioritizing funding for projects that address current issues or gaps. Applications that address the annual theme can receive up to 10 bonus points during the selection process. 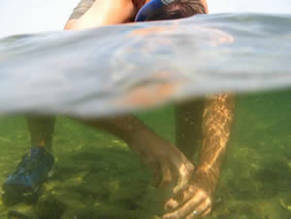 This year, the OBWB is prioritizing projects that are intended to address climate change adaptation related to water conservation and quality improvement, in any project category. For more information on project scoring, please refer to section 3.7 of the WCQI Program Guide. Please find the Program Guide (PDF) and Application Form (Word). We encourage interested applicants to view past recipients for the size and scope of previously funded projects prior to submitting an application. For more information, please contact the Operations and Grants Manager at 250-469-6270 or [email protected].